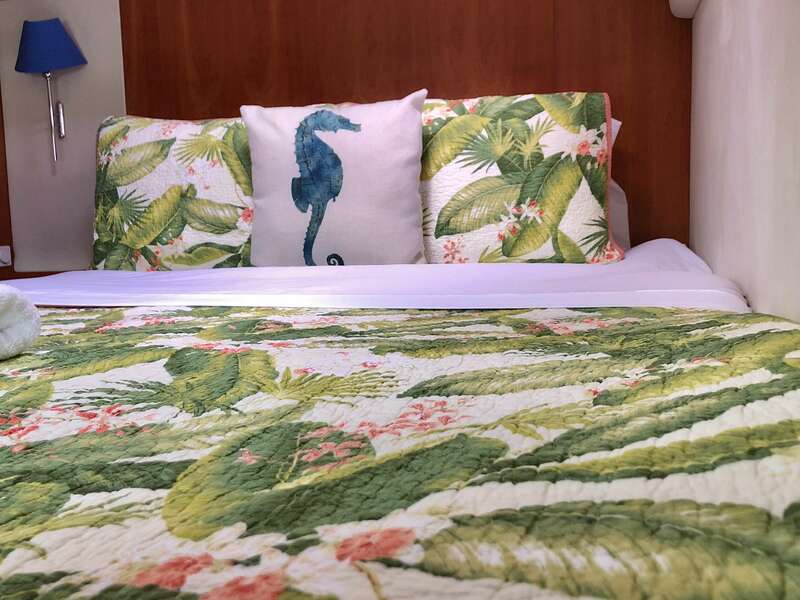 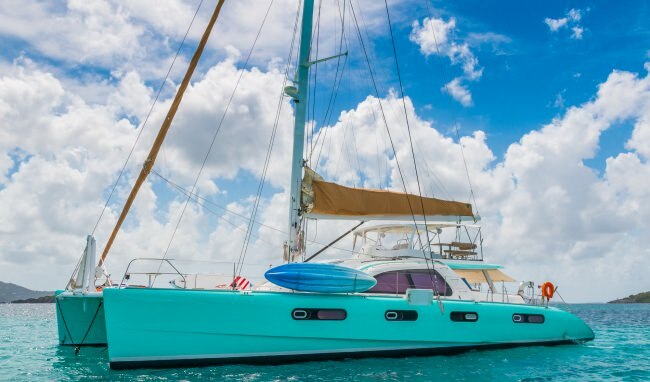 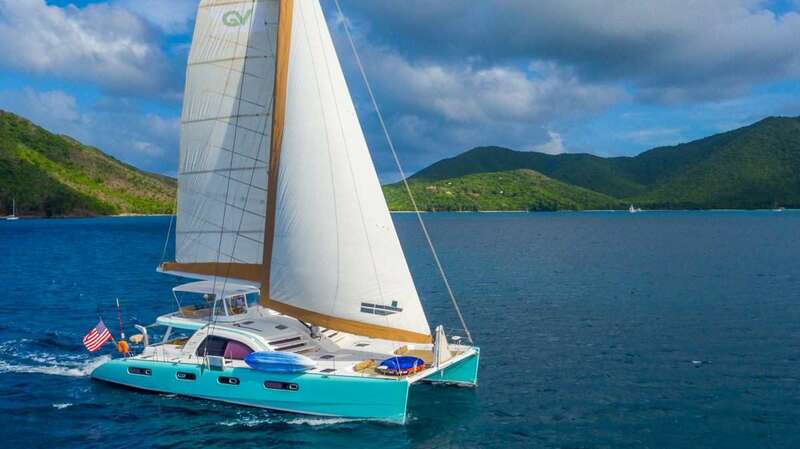 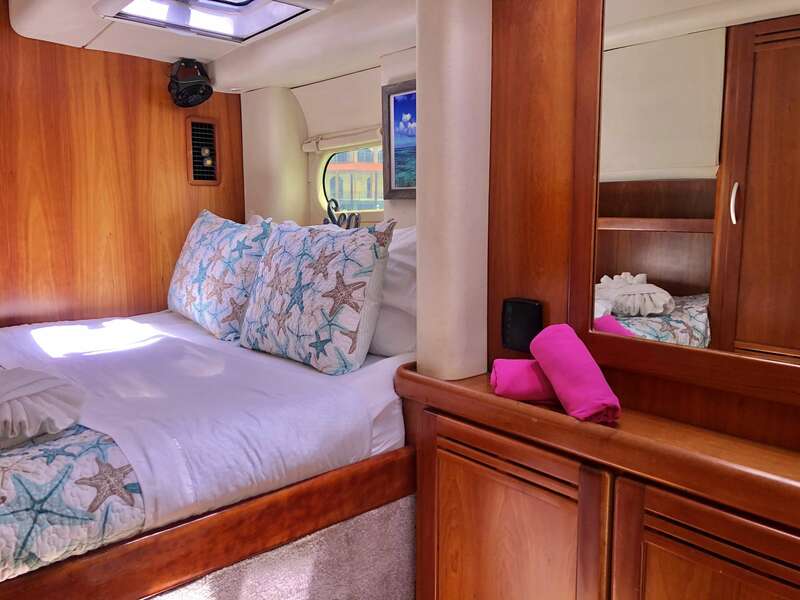 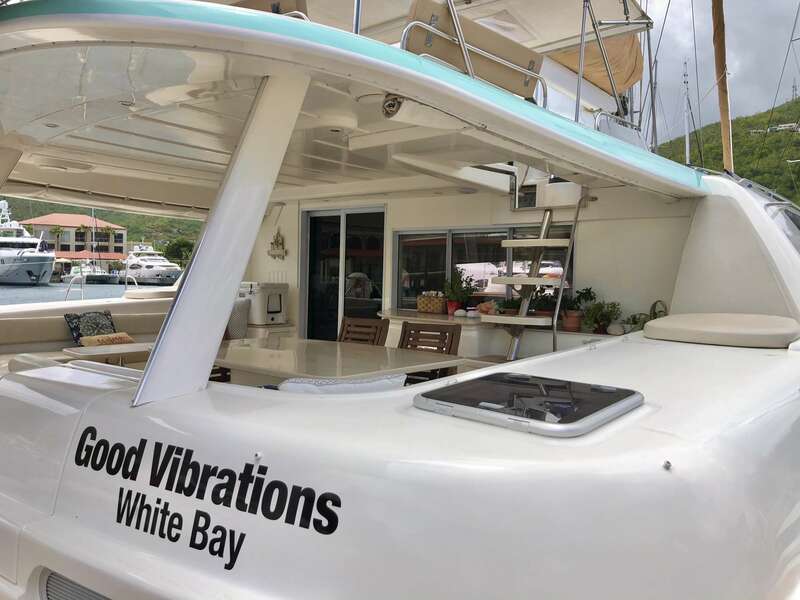 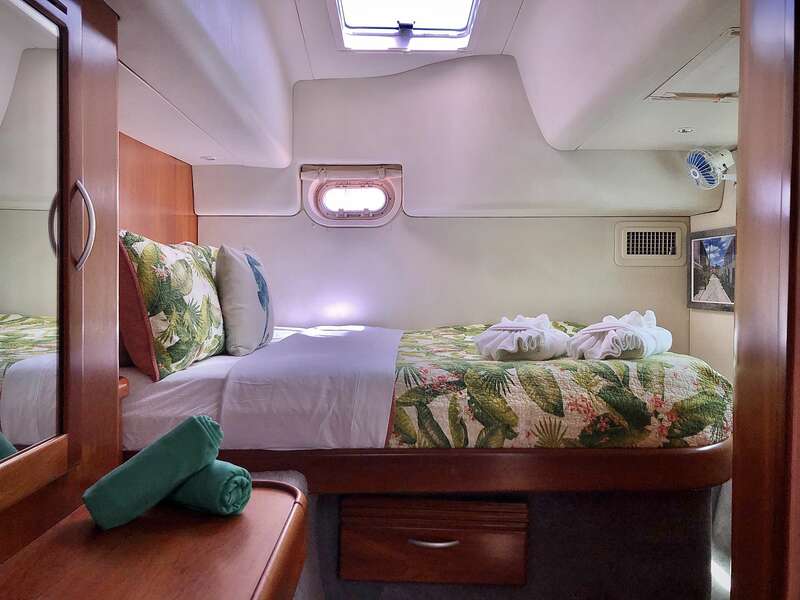 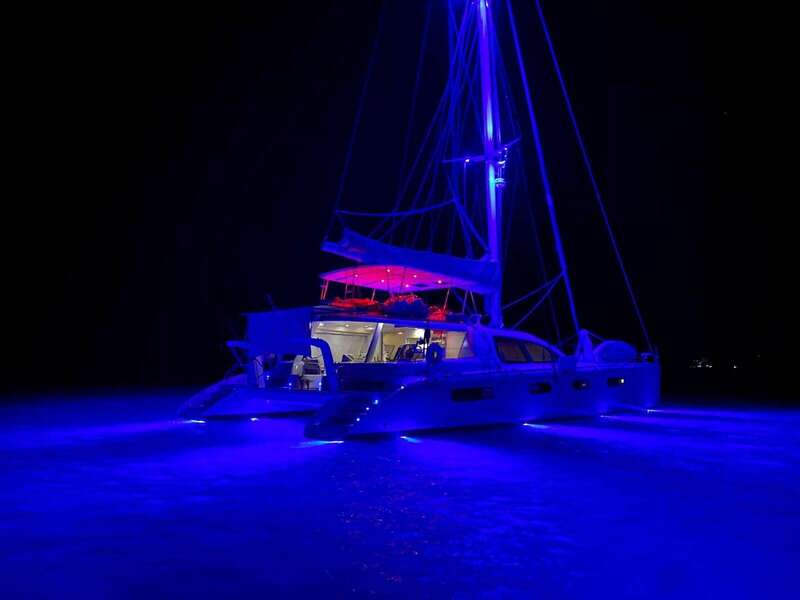 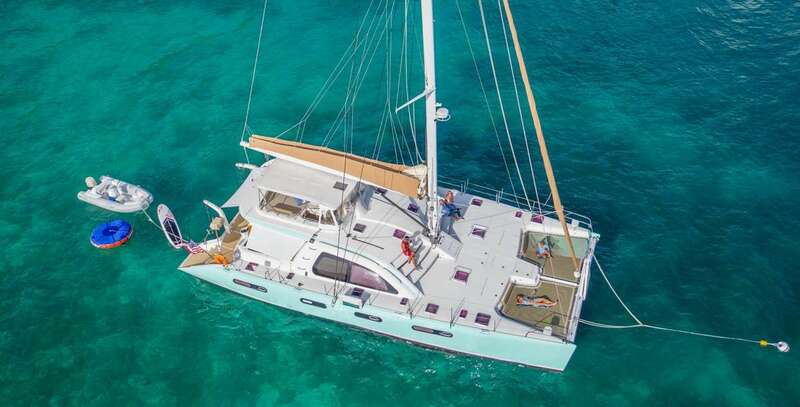 GOOD VIBRATIONS is a large 62′ catamaran offering spacious comfort and lots of lounging area options for her guests. 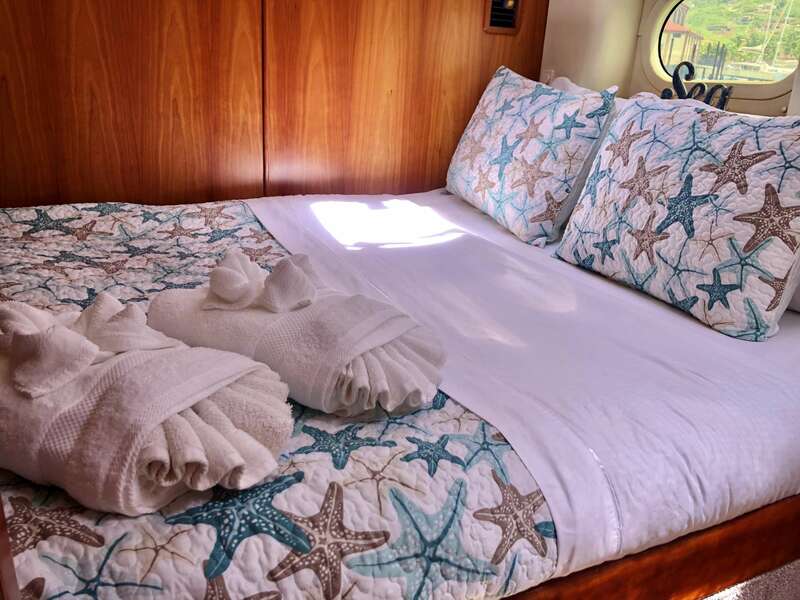 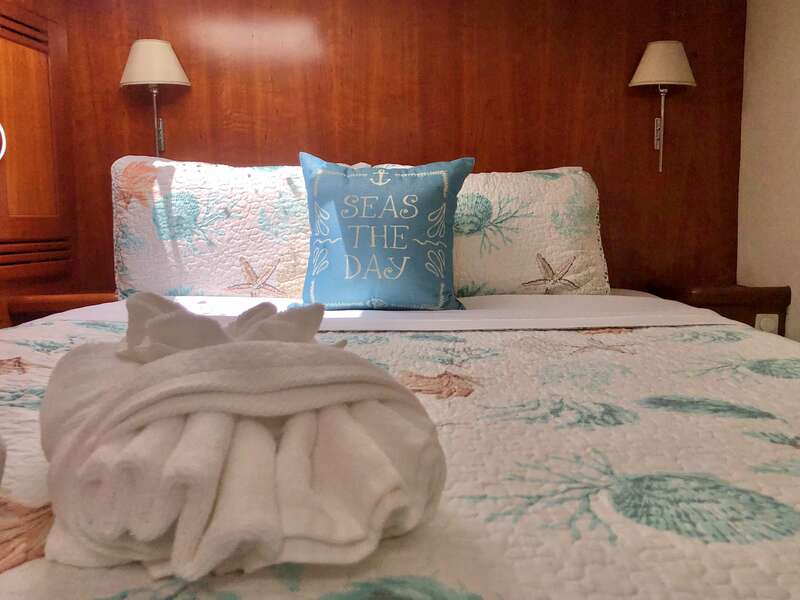 She has 4 guest cabins each with queen berths, TV/VCR/DVD/Stereo, private ensuite electric heads and stall showers. 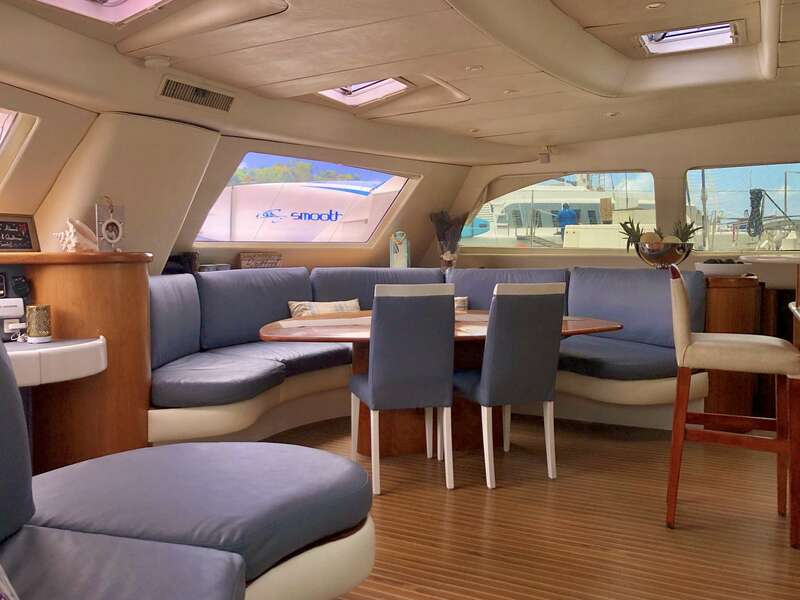 Her large main salon has a fabulous bar for happy hour as well as a formal dining area. 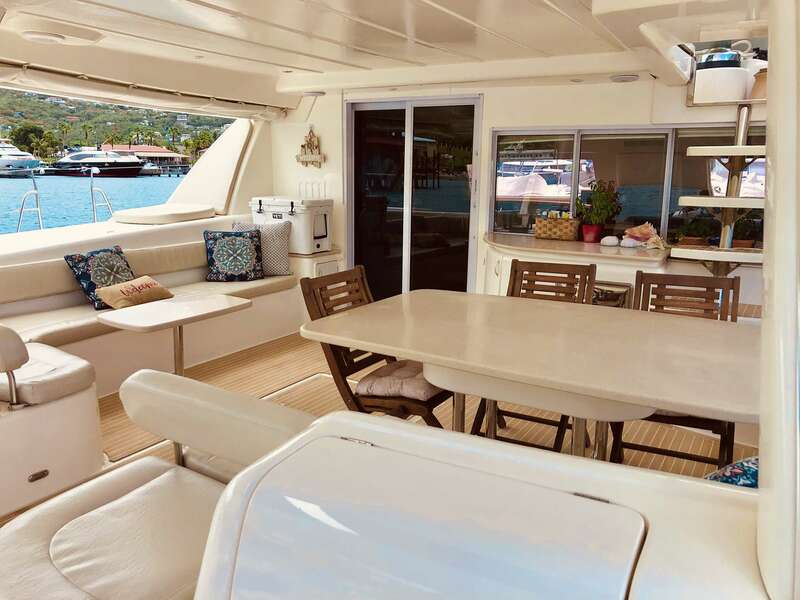 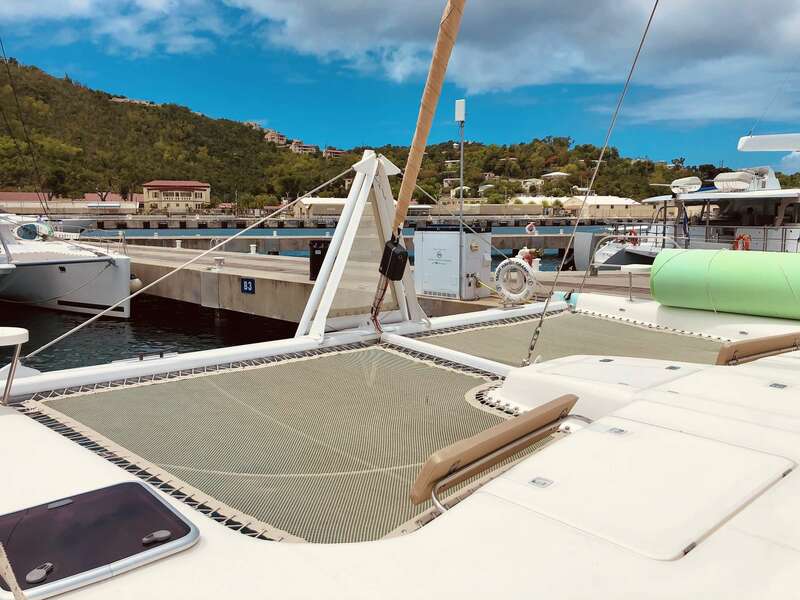 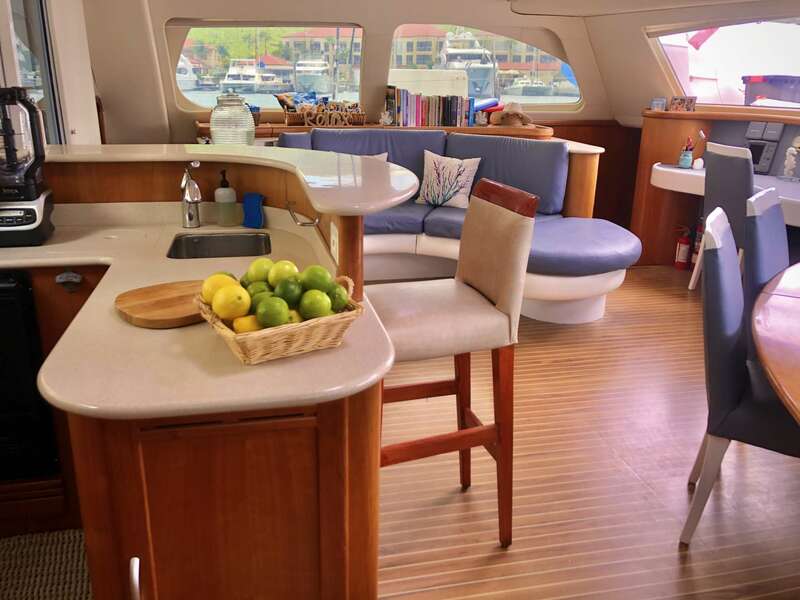 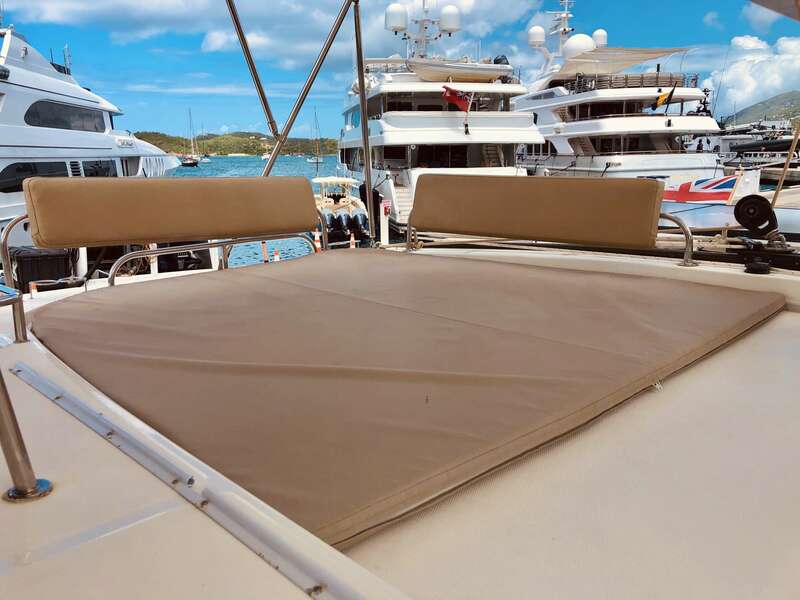 Her spacious aft deck offers space for lounging and alfresco dining plus a the flybridge with padded lounge area topside is available to enjoy the lovely Caribbean breezes with a spectacular 360 degree view. 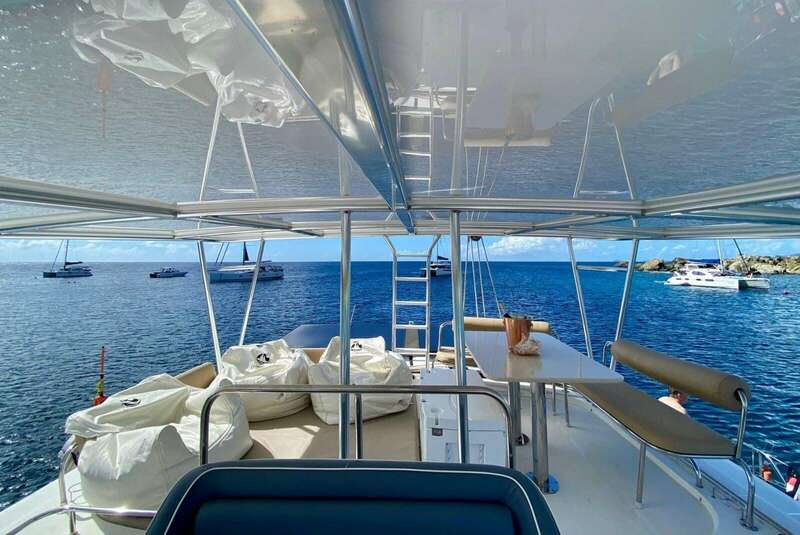 Forward she has huge trampolines with padded seat backs for comfort.